Our face is the first thing people see when we meet them. We make eye contact and according to our culture, deem it rude to look anywhere else. I get a lot of praise for my recipes and products in my shop. I know they are excellent ingredients and products that I use on myself and my own family. 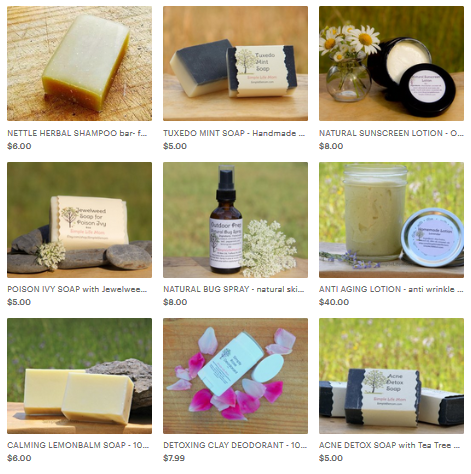 At the same time, I wonder if some of the glow and change people see i simply moving away from toxic soaps, lotions, makeup, and other products and simply giving our faces a huge break by only using ingredients that are pure and nourishing. 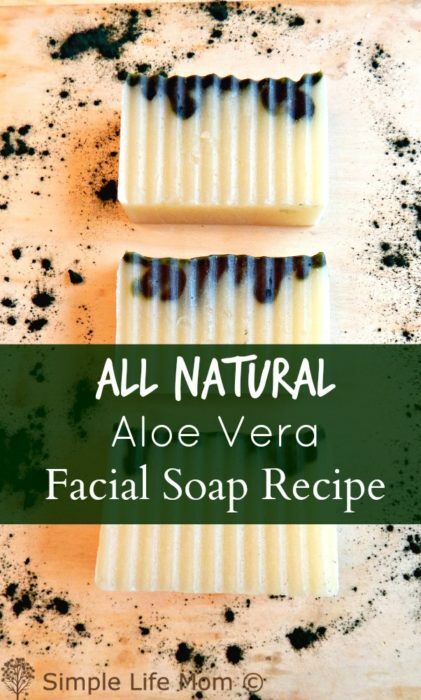 This cold process soap facial soap recipe has a higher superfat content. A lot of body bars are not drying and very nourishing at even 5% superfat. This recipe is at 15%. It can be used for all skin types, including oily skin. Just because it has a higher superfat content, don’t think it will be too moisturizing. It is very cleansing and makes sure your natural sebum is not stripped from your skin. Aloe vera has been used for centuries to sooth irritated skin. 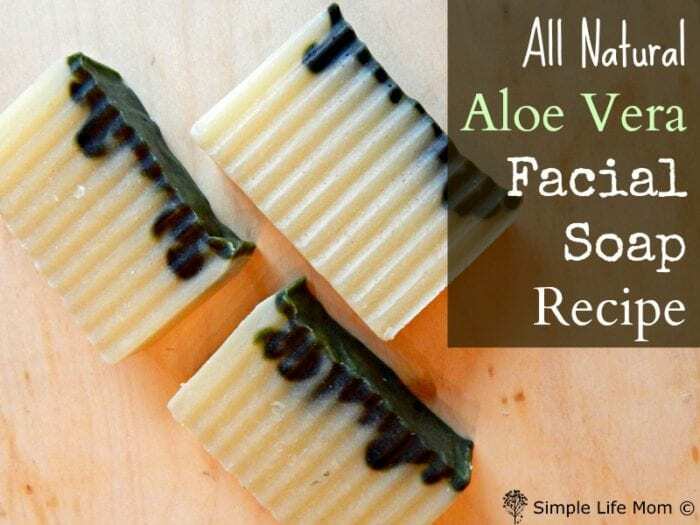 It is calms inflammation, making this a great acne facial soap recipe. Niaouli essential oil is another ingredient that makes this facial soap recipe great for irritated skin or those suffering from acne. It is considered the more gentle cousin of the tea tree. It is highly antibacterial and antiseptic, yet gentle on the skin compared to many other types of essential oils. Lime essential oil is antiseptic and antibacterial, but what makes it an amazing ingredient for a facial soap is that it is considered a toner for skin tissues and facial muscles. Plus, therapeutically it is uplifting and so considered an antidepressant. If you are new to making soap from scratch, see my detailed instructions: 7 Easy Steps to Homemade Lye Soap For Beginners. This will lay out what you need, some key terms, and how to proceed. If you have any questions, feel free to comment below and I’ll do my best to help. A great acne and beauty facial bar. Combine Olive Oil, Coconut Oil, Castor Oil, Grapeseed Oil, and Shea Butter in a stainless steel pot and heat on low until all oils are melted and combined. Cool to 100 degrees Fahrenheit. Combine aloe and water and go outside. Add lye crystals slowly and stir until dissolved. Do not touch the liquid or breathe in the gas. The gas will dissipate in 1-2 minutes. Let it cool to 100 degrees Fahrenheit. When all ingredients are around 100 degrees, add the lye water to the pot of oils and blend with a stick blender for a few minutes on and off. Check for trace (thickening). Continue to blend until trace. Pour into prepared mold and allow to sit for 24 hours before removing. Remove from mold and cure for 3-6 weeks. Makes 8 - four ounce bars of soap. If you would like to add a green swirl, you can use spirulina, parsley powder, or chlorophyll. For a swirl, simply remove a scoop of the soap to another bowl when it reaches trace and add 1 tsp of spirulina. Stir until smooth. For A Drip: Pour the plain soap into the mold during very light trace. When your soap is thin (but at trace), drip the green soap from a few feet above, causing it to drip down. For a Swirl: Pour the plain soap into the mold. Pour the green soap in a straight line back and forth on the top of your soap. Use a spatula to swirl a pattern to your liking by going perpendicular to your original lines. Thanks for sharing. This is awesome. I’d love to try making something like this myself. 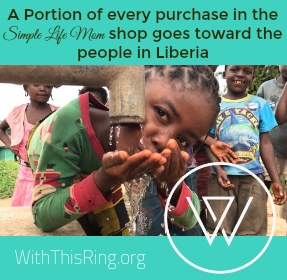 But I am also thankful you offer your products for sale in Etsy. I don’t, but I will have it and a number of new soaps very soon. Since I’m working on the Soapmaking book I’m making time to try out some new scents and recipes. This is great! 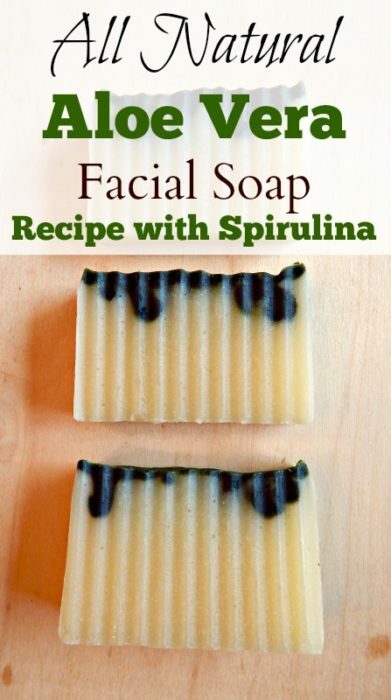 I didn’t realize the value of spirulina in soap. I have been using it as a natural colorant and I lOVE it in my smoothies. Thanks for the great tutorial! I am new for soap making ,I want more to read ,I like ur soap and petroleum jelly.